Click this link to purchase. How to navigate your leap of faith and land in the life you want! Change happens, whether we want it to or not. How we experience that change is completely up to us. Successfully MidAir provides ten real and specific tools that can be practically applied right in the moment to relieve stress, ease frustration, and deliberately have fun in the midst of whatever is going on in your life! 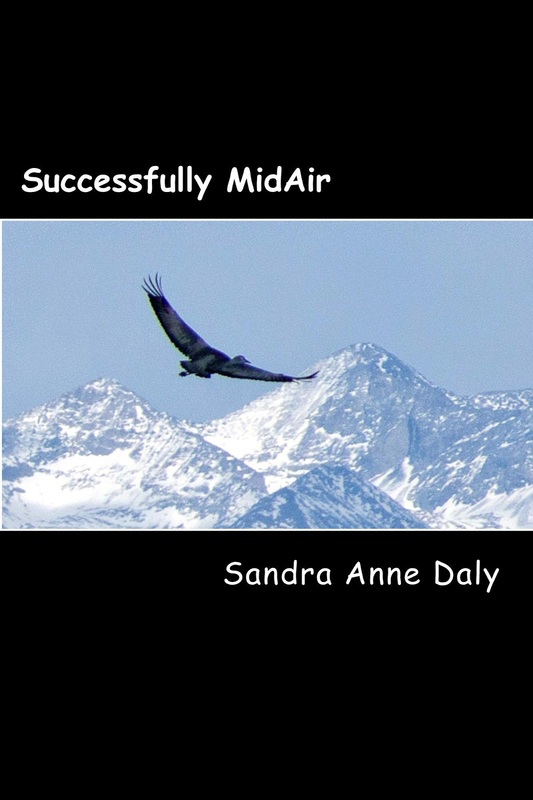 So, rather than your "midair" experience feeling turbulent, or frustrating, or even painful to you, you can choose to take advantage of those things to deliberately and powerfully create an amazing, joyful ride... right into the life you want! Open the way for things to shift dramatically, right where you stand. Know what to do right in the moment to deliberately change whatever it is you are experiencing. Recognize - and neutralize - three "monsters" that we all deal with in midair AND in our everyday life. Understand exactly what the "problem" is, and watch as solutions seem to magically "just appear" for you. Do you want to feel powerful - or empowered - in your life? Tool #5 helps you understand what P.O.W.E.R. really is, and how to live a genuinely empowered experience. Choosing faith over fear is the way to go every time. Tool #6 helps you to stand anchored in faith so that fear can never knock you off balance for any length of time. Literally change things by changing the story that you tell about those things. INSTANTLY relieve stress and bring yourself to a place of clarity and feeling really, really good! Let go of whatever it is you're hanging onto so that you can reach forward, trusting completely that all is as it should be. Ask yourself the most important question ever... Just the asking of the question changes how you feel about - and experience - whatever is going on. Every one of these tools is meant to be used in the moment, not to change your circumstances - because that is not possible - but to change who you ARE in those circumstances, which cannot help but to change things for you! Even if you just pick one to use consistently, I promise that your life will never be the same! If you want to feel more empowered and more in control of your life than ever before - without making yourself crazy with stress - then Successfully MidAir is a GREAT book for you! Who am I, why am I here, and what can I do for you?